With Father’s Day only a few weeks away, the time to start thinking about a gift for your pops is right now. Don’t phone this one in, gentlemen. Whenever we need a good gift for someone, we head straight to Huckberry. Their collection is ever changing and always fantastic. 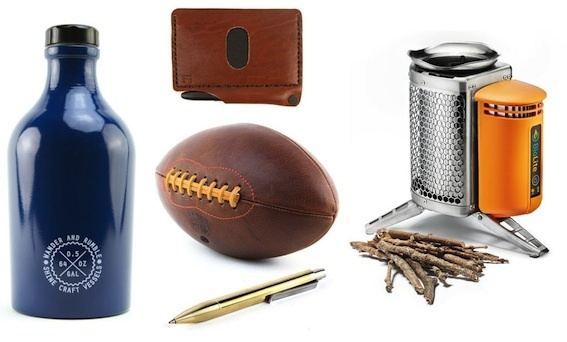 Today we’re happy to announce that one lucky Bowties & Boatshoes reader is going to win their choice of one of today’s five featured Huckberry products to give to their dad for Father’s Day this year. For the dad who loves beer, the Wander & Rumble Growler by Shine Craft Vessels is the perfect gift. Not only will it keep his favorite brew fresh, he’ll get to brag about how his awesome son found him something that all of his buddies will covet. For the sports fan, you’ll never go wrong with Handsome Dan from Leather Head Sports. After he realizes it’s the most finely crafted football he’s ever held, head outside for a game of catch. For the planner, the Architect Wallet from form function form is the way to go. A great wallet in it’s own right, this one also comes equipped with two moleskin notebooks and a Fisher Space Pen for notes, quick sketches, or whatever else needs to be written down right away. For the outdoorsman, the Biolite Camp Stove is sure to impress. Not only can you use it to cook at your campsite, it’ll charge your phone, too. Seriously. How cool is that? Finally, for the dad who has literally everything, The Shaker by Tactile Turn. Simplicity at it’s finest, this bronze pen should develop a pretty awesome patina over time, and he’ll always remember where it came from. So, now the fun stuff. How can you win one of these fantastic gifts? Follow the steps below and one randomly chosen winner will get their choice. We’ll be accepting entries until 11:59PM on Tuesday, June 9th. 1. Leave a comment telling us what you would pick for your dad. 2. Follow @Huckberry and @BowsandBoats on Twitter and tweet something awesome at us that includes #winitforpops. 3. Like Huckberry on Facebook. 4. 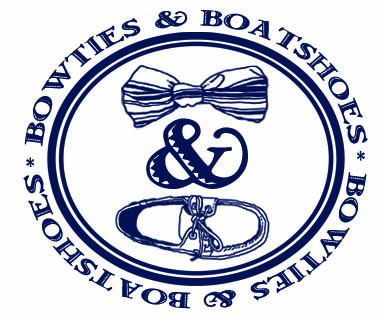 Like and Share the post on the Bowties & Boatshoes Facebook page that mentions this giveaway.